Even after I update to the forge version it says, I get the same crash. After a bit of investigating, I realized that upon startup, bspkrsCore randomly gets deleted... I'm not sure why... It just happens. Upon even FURTHER research... I found that bspkrsCore transported itself into 1.7.10 mod folder created by Chickenbone's mods... Which is supposed to happen apparently? It's not really a crash... It's almost as if I just missed a coremod and Minecraft is telling me which I need. There's o crash report because technically, it's not a crash. Is it possible to install Treecapitator only on the server and not require it in a modpack? We love FTB modpacks but if I install Treecapitator, it requires that and bpskrscore in the client as well which I don't want to do. Put the bskrsCore in the 1.7.10 folder, within the mods folder. Put Treecap in the mods folder. If it still crashes/messes up, there's always a crash report/log. But, if you post it, make sure and put it in spoilers. for the starting inventory mod, if I set an inventory on a server does it make that inventory for everyone or just me? Thanks! Amazing mod! does the crystal wing also give you an ability to fly?? I have a problem I don't know how to fix. I downloaded forge 1.6.4. I have also downloaded the bspkrscore for 1.6.4 (5.3 version). I have downloaded 1.6.4 Treecapitator. I have startemy minecraft under 1.6.4 forge but I am getting an error that I am missing the bspkrscore. However, if I download the 1.6.4 (5.2 version) it says I have more than one version. I don't know what to do. I am confused. I have no idea if I'm doing this right so I figured I'd ask before I saved any changes to the treecapitator config in my game. I am trying to edit in mod support for the Fossils and Archeology mod which has these really tall palm trees called paaleoraphe as among some of the ancient organisms you can bring back to life in the mod. They're between 20 to 25 blocks in height specifically (usually 21 blocks) and considering under normal circumstances you can only obtain a sapling by digging up fossils and then reviving the plant fossil item, when the leaves decay after you chop out all the logs there's a chance you can get no saplings at all, or hardly enough to breed a healthy population of them for that matter. If the sapling ID is needed I don't have it memorized sad to say but it should be in the same range as the other two. Having an issue with zombie pigman/blaze/wither skeleton spawners only in my single player world. As soon as you get close to the spawner the entity count (through the F3 screen) goes into the thousands and thousands . If I can get in quick enough and break the spawner then it quits. Is this a known issue by chance? I found a problem with TreeCapitator and Biomes O' Plenty. I am on Minecraft 1.6.4 and all those mods are up to date and are the recommended release. I can't cut down a whole tree of pine and some others. I checked the config and I found Pine listed. Why didn't it work? # These are the general preference settings. They are used globally to tune how TreeCapitator works. # [Global] Set to true if you want TreeCapitator to log info about what it's doing, false to disable. # one of the strings in oreDictionaryLogStrings and generate a generic tree definition for them on the fly. # the local user configuration, inter-mod communication (IMC) configuration, and the Ore Dictionary scanning feature. # the local user configuration and inter-mod communication (IMC) configuration. # imbued with the Treecapitating enchantment. # user-/mod-defined tree sets one of these values it will override the default value here. # [Global] Set to false to disable TreeCapitator Smart Tree Detection. # TreeCapitator considers it a tree and allows chopping. # [Global, PerTree] If a tree's top log is not close enough to leaf blocks, the tree will not be chopped. # [Global, PerTree] Set to false to use the older "top log" algorithm for finding the top log of a tree. # items are (if applicable). # a tree or axe is. # Keep in mind that you can also include certain settings on a per-tree basis to override the global values. # values in this category to suit your preferences. # will assume your config file is new and reload the default user mod config settings! I'm a little confused about the config file. I was using treecapitator with Nevermine, and for some reason it doesnt want to work in the Nevermine dimensions. I feel like I need to manually add the tree from the dimensions into the config file, but I have no idea how I should be doing that. Any clues? I should note that I know where the config file is, I'm just not sure what to change in it. I know that you believe that you understand what you think I said, but I'm not sure that you realize that what you heard is not what I meant. EDIT: After some time i managed to figure it out ... it would help if someone had made a tutorial for people like me who had no idea what they were doing... or where to begin. im playing adventure mode with starting inventory and its pretty damn fun. Is it possible to get the starting inventory upon respawning, too? May I use the treecapitator mod in my brother's modpack. May i use the armor status mod in my little brother's modpack. 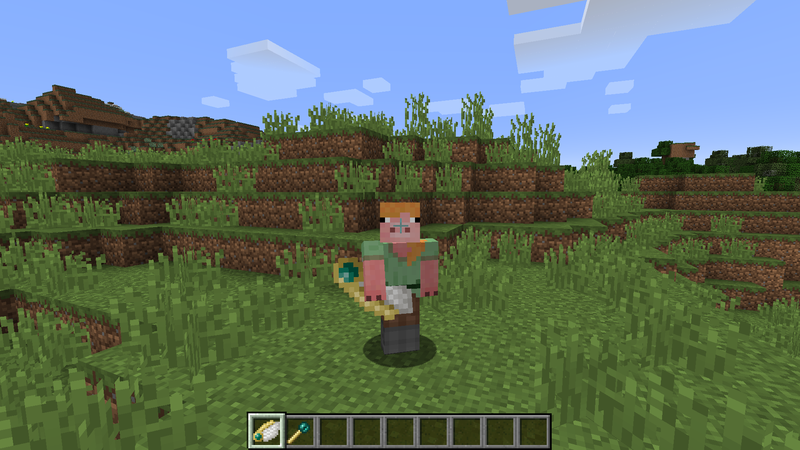 For Starting inventory, is there a way to specify nbt data, for example to get a Backpack from Eydamos (http://www.minecraftforum.net/forums/mapping-and-modding/minecraft-mods/1286124-1-6-x-1-7-x-backpacks-v-2-0-1) with stuff inside? I'm running into an issue with Startinginventory where on our server it'll start out with giving people 5 pokeballs, 2 gold blocks, 3 potions and 2 lore'd/enchanted items, but then they all change to 0 values like 10 minutes later. So this happened. I think something got borked. Have a small problem while configuring your TreeCapitator mod. Can someone get an advice about this parametr.